The more SEO you have the more credibility. Huh? I don’t get that one. I suppose he’s saying higher ranking search results are more credible? Use videos, webinars, books, and online courses. Take an online marketing course from Alison, Udemy, or Coursera. The best strategy depends on the business and product. Even the writer admits this is obvious. The best answer was to understand what potential customers wants and needs are. Then, use that that information to drive more of them to your website. For the average website, 96% of visitors aren’t ready to buy anything from you when they visit. That’s a staggering statistic when you think about it. It doesn’t matter how many popups you put in their face, how clever your calls to action are, what color the buttons are, or a thousand other things, because they’re not ready to buy. In fact, if you pester them enough about it, they will decide your website is too spammy and leave it forever. This 96% business is how Google became so valuable. By choosing your adwords carefully, you can put your ad in front of people who are ready to buy right now. In doing so, you bypass the 96% who aren’t even kicking tires. That doesn’t mean I advocate forgetting your site and jumping on the advertising bandwagon. I’m trying to make sure you understand how most of your visitors are thinking about your products. They aren’t, they don’t care, it’s not why they are there. As I mention, this was the best answer I saw on the thread. You have to find more qualified people and attract them to the site. In other words, get more who are ready to buy right now to visit. Ignore the rest. Now I like a lot of what Noah has to say, I read his blog, and he’s one of my Top 15 Master Marketers. But I have to admit, I disagree with him here, and I’ll bet him a taco (Noah loves his tacos!) I can show you a better way. The other alternative is to work with what you’ve got. If they’re not ready to buy now, how do you keep them interested in what you have to say long enough to persuade them they should buy? Is this even possible, or should we all take Noah’s approach and forget these people who aren’t ready? We should keep these folks and try to cultivate them through a process that’s called lead nurturing. 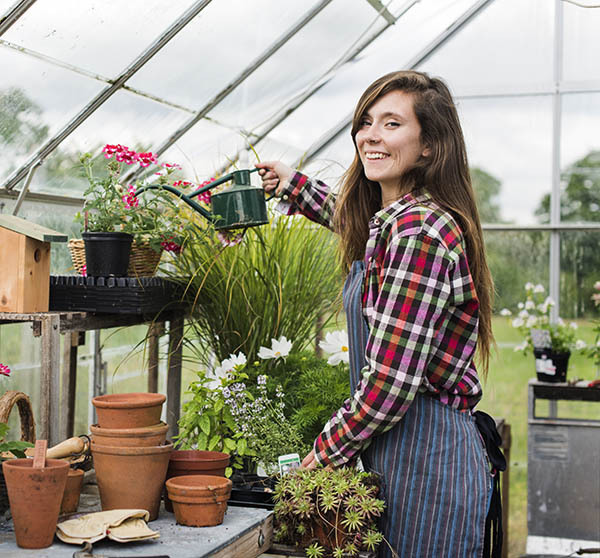 Now go on, admit it–schmaltzy photo aside, wouldn’t you rather be nurturing your visitors than trying to discourage them from even coming unless they’re ready to buy now? In fairness, not everyone, not even Noah, is into discouragement. But they’re into testing (it’s called “qualifying the lead”) and otherwise ignoring those who don’t past the test. You want as much traffic as you can get coming to your site because it will allow you to rank better for the keywords that signal people who are ready to buy right now. So, you may as well get used to providing value to these folks, even if you do want to focus on those ready to buy now. It’s hard to find people ready to buy right now. If you can grow that audience, you’ll make more sales. 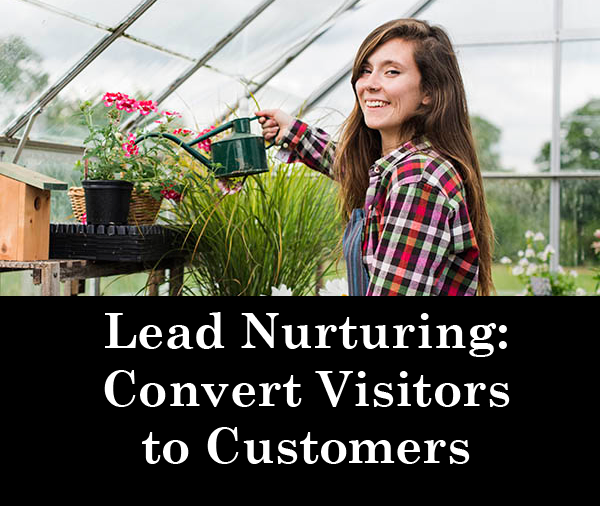 If you nurture a lead, it means they came to awareness and to a purchase because they responded to the information you provided. When you establish yourself as their expert on the topic, the one who wrote the book, you’re far less subject to competition and competitive pricing issues. 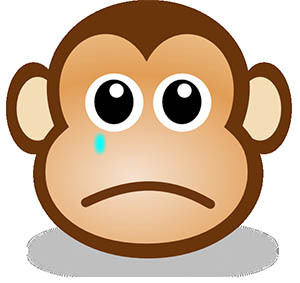 Nurtured leads are warmer leads because you’ve taught them how to think about the problem and your product in your terms. They speak your language. If you’re smart, and I know you are, you’ve even taught them a little bit about why your product is the best one for their needs. OK. Let’s say you’ve decide lead nurturing is best for your business, as I have. A website visitor could be at any stage in the funnel. For example, they may have visited a friend who is already your customer, seen your product in action, and now they’re on your website trying to purchase. Your job is to first identify what stage they’re at and then move them through the funnel by carefully tailoring the information they need to receive and process before they’re ready to move on to the next stage. It’s important not to hit them too soon with the wrong information. A visit who is just becoming aware they may have the problem you solve (top stage is “Awareness”) is not yet ready to hear about your pricing. Let’s walk through each stage and give some examples so you can understand. This is the first stage of the funnel, but your visitors may not even be here yet. In this stage, visitors are aware of the problem your product solves. Sometimes, visitors may not even be aware the problem exists. Perhaps they’re thinking some symptom is caused by a different disease, so they’re aware of the symptom but not the exact disease. People who are <type of person, e.g. machinists> have this problem: <problem, e.g. deciding what kind of cutting tool to use>. This is a fruitful stage because the visitor is actively trying to find a solution to the problem your product solves. We’re getting much warmer now. Your visitor is aware of the problem, knows they have it, has searched for solutions, and is starting to consider which one is right for their needs. In fact they’ve also learned that you have a product that can solve their problem, so they’re ready to consider your product. 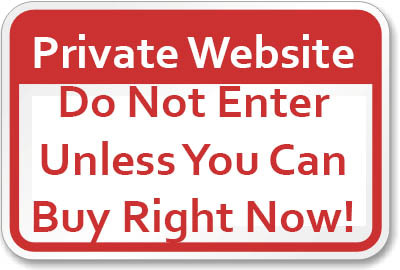 At this stage, visitors are starting to register the intent to buy your product. It’s not a lead pipe cinch, but they’re leaning your way. Here is the stage where the final decision is made. You’ve passed all the initial sniff tests and the customer is really digging down to see whether their intuition that you’re the best choice is really true. You made it, this is the last stage, they’re ready to buy your product. In this stage, you just need to close the business and make sure it is a positive experience. Do We Really Need So Many Stages? I’ve described a fairly elaborate Sales Funnel. Do you really need that many stages? Well, some companies selling complex and expensive products (ever buy a nuclear power plant?) may offer many more stages in their marketing and sales process. But, for most web businesses that don’t involve actual sales people, this may be too many steps to be worth delving into. Top of Funnel (TOFU): If we combine Awareness and Interest, TOFU is the stage where visitors become aware they have a problem and you have a potential solution. Middle of Funnel (MOFU): MOFU is all about convincing the visitor yours is the best solution for their needs. This is typically where you position your product. Why is it the best one of all the competition? Bottom of Funnel (BOFU): BOFU is all about closing the deal once they’ve bought into the two earlier stages. This is where you may deal with intangibles (“We’re the industry leader”), promotions, and the like to close the business today. There are many other models, such as McKinsey’s consumer decision journey, but these will suffice for most businesses. 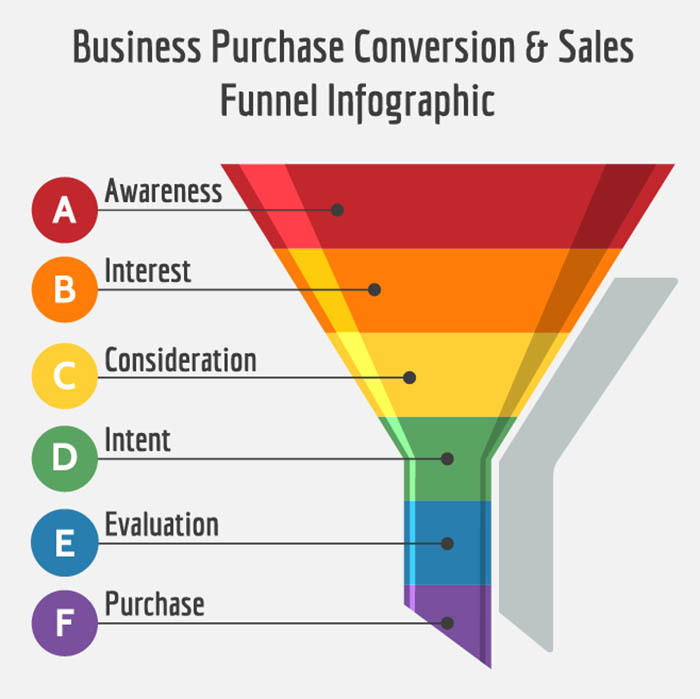 How Does the Funnel Help Me Convert Visitors to Leads? Identify which stage your visitor is in. You can do this by creating content that rates for keywords signifying the stage. Based on incoming search traffic and clickthroughs on articles in your emails, they land on the pages that match their funnel stage. Make sure you have content for every stage of the funnel and that you’ve set up paths for #1. As you can see, it’s a two-pronged approach. Plus, you need to be prepared to do this the first time a visitor arrives, and then to keep up with and nurture their journey through the funnel. To do the latter, I like to use email. Once I know what stage visitors are in, they receive emails on a regular basis that help them prepare for the next stage and also links that if they click-through, signify they’ve moved to the new stage. It’s important not to get too impatient. Visitors go through the funnel at their own pace. Don’t give up on them, make it easy for them to learn and explore as they wish. To learn more about how these emails work, check out my post on how I moved on from Mailchimp to more sophisticated email strategies.